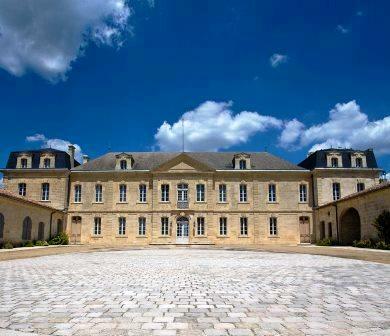 Chateau Soutard is one of the oldest estates in the Right Bank as it dates all the way back to 1513. In those days, the estate was used as a farm and mill. This was well before Soutard became known as a Bordeaux wine producer. Chateau Soutard began earning fame as a Saint Emilion vineyard in the middle of the 18th century. It was during those early days that Chateau Soutard first began practicing the novel approach of planting vineyards in rows. While it’s natural for us today, 300 years ago, it was less common in the Right Bank, when things were more primitive. The 18th century chateau is one the largest and most regal chateaux in all of Saint Emilion. In fact, it would not be at all out of place among the best chateaux in the Medoc! During the 20th century, Chateau Soutard remained the property of the same family, the de Bogeron’s. In fact, the de Bogeron family managed Chateau Soutard from 1890 until 2006. In 2006, Chateau Soutard went from being a family owned estate, to part of a large, corporate empire when it was purchased by La Mondiale, the French insurance company. La Mondiale was already well-versed in the Bordeaux wine trade at the time of the transaction, as they already owned Chateau Larmande and Chateau Grand Faurie. The new owners quickly began bringing the estate up to date with a massive construction project.Until 2014, Chateau Soutard was managed by Claire Thomas Chenard with the help of their consultant Michel Rolland. Claire Thomas Chenard is no longer with the estate. The 30 hectare St. Emilion vineyard of Chateau Soutard is planted to 63% Merlot, 28% Cabernet Franc, 7% Cabernet Sauvignon and 2% Malbec. The vineyard has a terroir of limestone, clay and sandy soils with gentle hillside slopes on their best terroir. The top soil is thin, before you reach a hard limestone soil, just before the surface. The vines are on average, 35 years of age. The vineyard is planted to a vine density of 6,500 vines per hectare. The wine is vinified in gleaming, new, stainless steel vats of various sizes. The wine is aged in an average of 60% new, French oak barrels for 18 months. There is a second wine, Jardins de Soutard. Close to 7,000 cases of Bordeaux wine are produced by Chateau Soutard in an average vintage. There is a second wine, Jardins de Soutard. Chateau Soutard was completely renovated and modernized from top to bottom for all their wine making facilities, vat rooms and cellars. The new design was created by the well-known architect, Fabien Pedelaborde who followed that up with his work at Chateau Marquis dAleseme in Margaux. 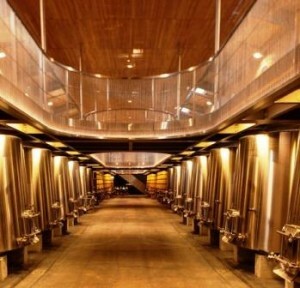 The work on Chateau Soutard created a new, state of the art, gravity fed, wine making facility complete with glass elevators transporting you to the cellars. The construction project was finished in time for the 2011 harvest. The new, larger vineyard of Chateau Soutard was just increased in size following the results of the 2012 St. Emilion classification. The increase in vines came from the addition of land from Chateau Cadet Piola, which was merged into Chateau Soutard. Chateau Soutard is located not far from the village of St. Emilion. Chateau Soutard is better with at least 4-6 years of bottle age. Of course that can vary slightly, depending on the vintage. Chateau Soutard is best enjoyed in the first 5-20 years of life. Chateau Soutard is best served at 15.5 degrees Celsius, 60 degrees Fahrenheit. The cool, almost cellar temperature gives the wine more freshness and lift. Chateau Soutard is best served with all types of classic meat dishes, veal, pork, beef, lamb, duck, game, roast chicken, roasted, braised and grilled dishes. Chateau Soutard is a perfect match with Asian dishes, hearty fish courses like tuna, mushrooms and pasta as well as cheese. An attractively deep color, there is a saline quality to the tannins with ripe, dark red berries and ample flesh. The wine starts out well, with good texture, volume, and sweet, fruit, but as hard as it tries, it falls a bit short in the finish. Floral notes meld with black raspberries, licorice, espresso and dark chocolate giving the wine its character. The wine has soft tannins and an approachable, forward personality. Flowery with fresh, vibrant, sweet black raspberries, licorice, espresso, soft tannins and an approachable personality. Coffee, licorice, black raspberry and strawberry notes lead to a medium bodied, fresh,soft textured red and dark berry filled, St. Emilion wine. Tannic, oaky, bright red fruits, espresso, licorice and a lot of freshness on the nose and palate. The wine should age well, but perhaps without a lot of charm. Medium bodied, ripe, forward, already developed wine with a licorice, earth and cherry personality. Soft, ready to drink, but without complexity or distinction. Firm, strict, hard style of wine that is better on the floral, cherry, thyme and earthy, smoky nose than on the still, tannic, , crisp, palate. It's interesting that although they want to produce a modern, styled wine, this is really more in the old school, classic vein.